Has anyone wondered about how good the 222 scout cars are? 1- Never use a Scout Car against an IS-2 upfront, NEVER, only tears, depression, and a loss of 15 fuel will happen. How did I realize this? well, The compstomps were 4v4 all hard AI (sorry, im too diaper baby to do Expert AI) so there were plenty of soviet planes buzzin around, lookin for them AT Gun thighs. But for some reason, my 222 Scout cars usually had 3-10 Vehicle kills, and that is how I lreaned the hard way the Scout cars are NOT Tank Destroyers, trust me, Im saving you a ton of headaches with that advice. At first I thought it was super RNG, but 18 rounds in a row, with my scout cars consistently getting vehicle kills for 20 matches in a row, I decided to build one 1 Scout car, upgrade it with the 20mm gun and spotting scope, and just let it AFK in my HQ and stare at it. Literally, in 5 shots, BOTH planes got shot down by the scout car, then proceeded to crash into a giant blob of racktenwerfers. Like about 12 allied planes were divebombing flacktrucks and ostwinds and all of them were uninjured. but when it came to the 15 fuel scout car, the the tinking vehicle manage to snipe plane after plane after plane in the HQ sector, and ended up getting a total of 9 vehicle kills. OH MY, THE HUMANITY, so much destruction and rage. And Ostwind, 120 muni AA halftrack, the OKW field defences and T4 building and flack halftrack Are outmatched in the AA department by a 15 fuel, T2 Scout Car. Sure I may have the best RNG 20 compstomps in a row, So I need some 3rd party proof that the 22 is the Stronkest AA in the game. Oh... now i'm not smartest with 222. I still only get SC > 222 if there are Wc51, snipers or clown cars around. Halftrack more versatile, specially in team games. Grittle for bestest artist award! 222 actually got 7.5% to shoot down a plane, which is pretty HUGE chance. Also noticed the KT MG is quite a Flak on tracks. SC would be fine if it a least it would have cap ability at vet 1 or 2, or maybe clock to be able to scout better then it do it now. Like really, its pointless to use this thing if there is no T1 clown car spam. Anyway, who cares that it can shoot down planes ? I'm on 1v1 and 2v2 maps, planes almost instantly attack\bombard, since thouse maps are very small, on 3v3 and 4v4, SC AA could be more noticable. I believe its 19% for ostwind. ​Its like 4 pop cap and only 15 fuel and 30 muni w/ 7%? vs a 100 fuel tank and 10 pop cap and 20% chance of hitting a plane. and that is just the closest competitor. Vet 2 SC with spotting scopes can see the entirety of most 1v1 or 2v2 maps. On 3v3 and 4v4 it can see a lot. This is the only useful aspect of the vehicle to me. Soviet Quad costs 30 fuel, but with 120mun AA upgrade it have 2 or 3% to shoot down a plane. This is why it basically never shoots anything down unless you have 2 or more of them. Just curious - is that a 2 or 3% chance per shot or per time period? Meanwhile here I was thinking the 222 was useless. Never knew it was unusually better at skyboxing than everything else. 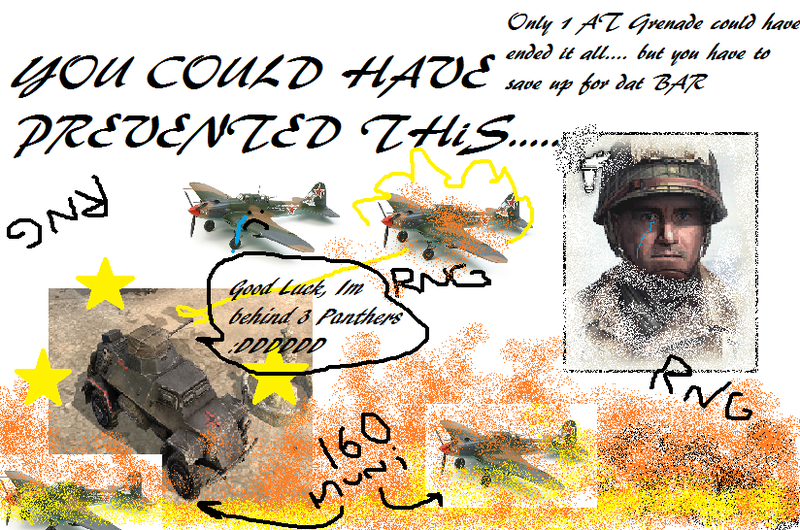 AA in general still seems messy to me, even after the nerf to flak defences.